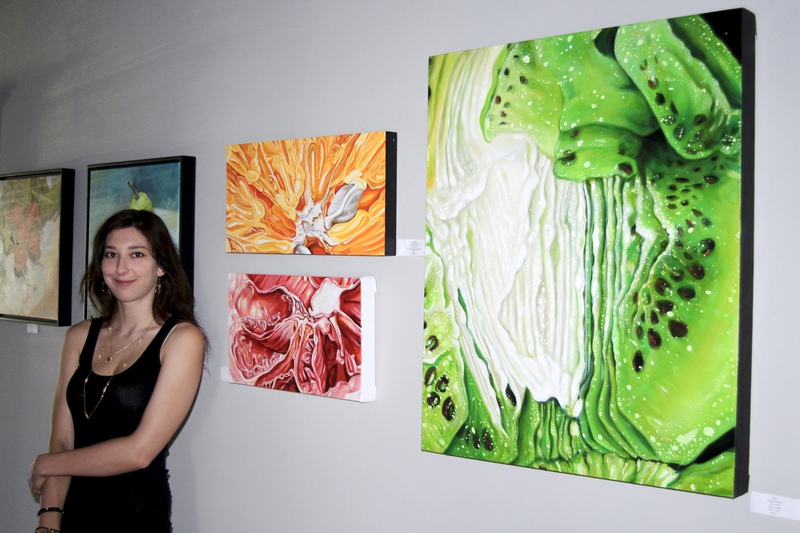 Angela Faustina and her Orange II, Pomelo I, and Kiwi I oil paintings at the From the Garden art exhibition, 2016. Subscribe to Angela’s Newsletter, a seasonal art studio update sent out up to four times a year. 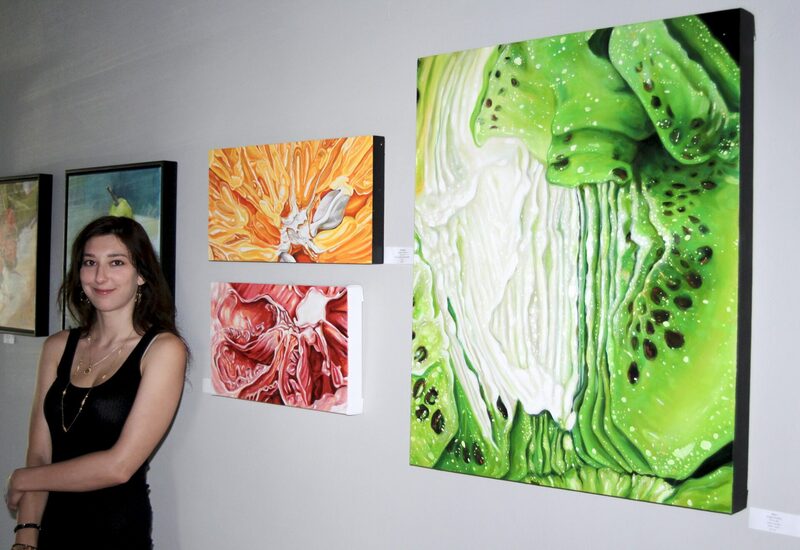 You can also email her directly at Angela@AngelaFaustina.com about things like commissions, exhibition opportunities, and more information about her work. Thank you for your patronage.